It is with heavy hearts and great sadness we announce the passing of our colleague, Norman Reuel Gibson. Norman was the Manager, Science, Technology and Innovation, CARDI since April 2017. Norman joined the CARDI family on 6 January 1989 as a Research Assistant in his native Barbados. His aptitude and passion for agricultural research and developmental issues helped him to quickly progress to various positions within the Institute, across the region. 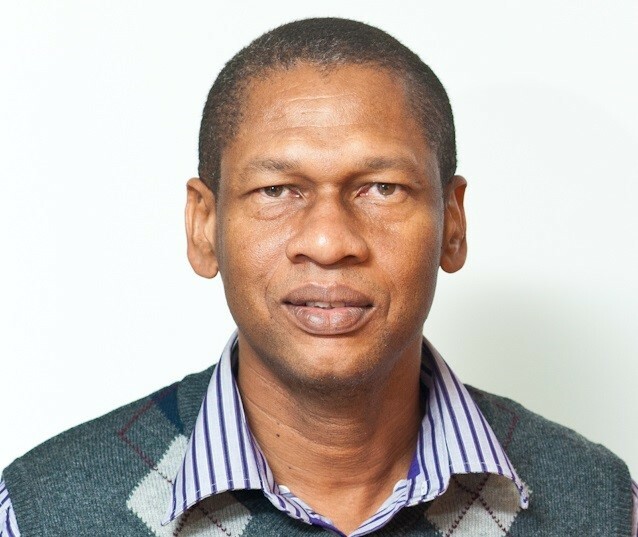 During his sojourn at CARDI he worked as a Research Assistant, Research Officer (Antigua and Barbuda), Scientific Officer (Trinidad and Tobago) and CARDI Representative (Trinidad and Tobago and St Kitts and Nevis). On 3 April 2017, he was appointed Manager, Science Technology and Innovation where he was responsible for providing scientific, technical and managerial leadership in science, technology and innovation to CARDI’s programmes. He directly supervised CARDI’s scientific staff and was responsible for delivering the Institute’s very diverse research portfolio. Parallel to this, he was overseeing the deployment of an ICT infrastructure system within CARDI saying “that it will simplify and efficiently change the way we work and collaborate”. He was a champion for CARDI’s Global OJT Programme and willingly gave his time to mentor the upcoming young scientific staff. Norman also facilitated several partnerships on behalf of the Institute with key collaborators such as the Inter-American Institute for Cooperation on Agriculture (IICA), the Technical Centre for Agricultural and Rural Cooperation (CTA), Global Forum on Agricultural Research and Innovation (GFAR) and International Food Policy Research Institute (IFPRI). As a researcher he will be remembered for his brilliance, thoughtfulness and collaborative nature. His research focused on improving the production and productivity of small holder animal farmers, sustainable livelihoods of vulnerable groups, particularly those operating in watersheds and environmentally sensitive areas. Norman also managed and coordinated several major regional projects on behalf of the Institute including the 10th EDF Climate Change Project, New Zealand Small Ruminants Project and the Common Fund for Commodities (CFC) Small Ruminants Project. As a trained Animal Scientist he functioned as the Commodity Leader for the Small Ruminants regional programme, one of the priority research areas for CARDI. He represented the Institute with distinction at various high level meetings such as the COTED/CARICOM meetings and undertook missions to the Caribbean, Africa, Pacific, Latin America and Europe. He was the author of several publications. Norman was born in Barbados and holds a B.Sc in Agriculture from the University of the West Indies (UWI), St Augustine and an M.Phil in Animal Production from the University of Nottingham, United Kingdom. In January, 2019 he submitted his Ph.D. thesis on “Validation of an analytical and intervention model for small ruminants’ industry in selected member states of the Caribbean Community”, at UWI St Augustine and was awaiting his oral defense. He will be greatly missed by all researchers and staff at the Institute; as an academic, a colleague and a friend. His insightful interactions, cool temperament and hearty laughter will all be missed. The management and staff extend heartfelt condolences to his wife Sharon and their daughters Ashedah, Chananel and Jekilyah, his extended family and friends.